Responsive design is a web design and development technique that creates a site or system that reacts to the size of a user’s screen. Responsive design will optimise a user’s browsing experience by creating a flexible and responsive web page, optimised for the device that is accessing it. Increasing use of the internet and proliferation of web applications on tablet and mobile devices has been the driving force behind this development. Traditionally users would be re-directed to a device specific site (e.g. mobile), but responsive design means one site can be implemented across devices. Tablet sales are expected to exceed 100 million this year, meaning that responsive design has never been so important for those looking to optimise their online content. Indeed, some Byte9 sites are already experiencing up to 40% traffic from tablet and mobile devices, a strong commercial imperative to accommodate the smaller screen size in a unified design. Another benefit of responsive design is that the user has an improved site experience as there is no need for redirection, use of standardised Style Sheets (CSS) across devices and unified design approach will also create a consistent look and feel. Consistent user experience will have a positive impact on your conversion rates as people are familiar with navigation and site or system use across devices. Responsive design removes some of the barriers that having multiple sites can present, i.e. in functionality, performance and consistent look and feel. A single responsive site means that you no longer have to track user journeys, conversion paths, funnels and redirections between your sites. Site analytics tools like Google Analytics are now optimised to handle multiple devices and responsive reporting. All of your tracking and analytics will continue to function and be condensed into a single report, allowing for easier monitoring and analysis. 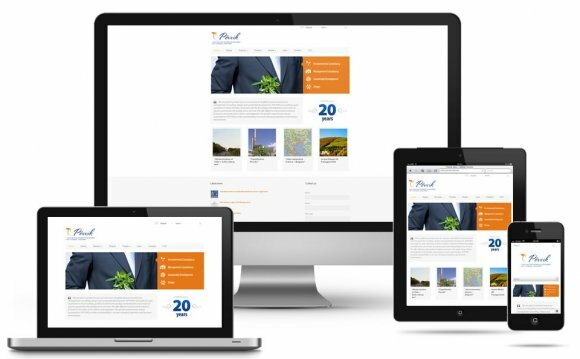 Responsive Design means you can manage one website with a single set of hypertext links; therefore reducing the time spent maintaining your site. This allows you to focus on link outreach with a consolidated Search Engine Optimisation (SEO) strategy. SEO campaigns can be time consuming and costly, but by creating a responsive site, all of your efforts can be focussed on a single site, with unified strategy and tactics across devices. Content is vital in SEO, good quality content which is regularly released improves your search engine ranking page positioning, therefore a further advantage of responsive design is that fewer resources can be wasted in low-level duplication of content across sites, the content need only be applied to a single site, increasing your chances or a higher search engine ranking. Additionally Google suggest (which Byte9 analytics can confirm) that mobile optimised, responsive sites are featuring prominently in localised search results. This is obviously of huge significance to high street and online retailers, amongst other burgeoning mobile use cases. A primary benefit of adopting a responsive design is that it takes less time than creating an additional stand-alone mobile site, which has been the traditional approach. Testing across a number of websites also increases your development, support and maintenance overhead. As styles are re-used and optimised by device standardised testing methodologies can also be used.